During this time there was a very fit black who marched down Berea Road at a likkety pace and was named Johnny Walker. At the intersections he would do a marching time raising his knees better than the Grenadier Guards. I thought he wasn’t all there. Anyone recall him? I can remember the “boom boom” man, as we called him, when I was a young child growing up in Lower Glenwood in the Clark Road area. 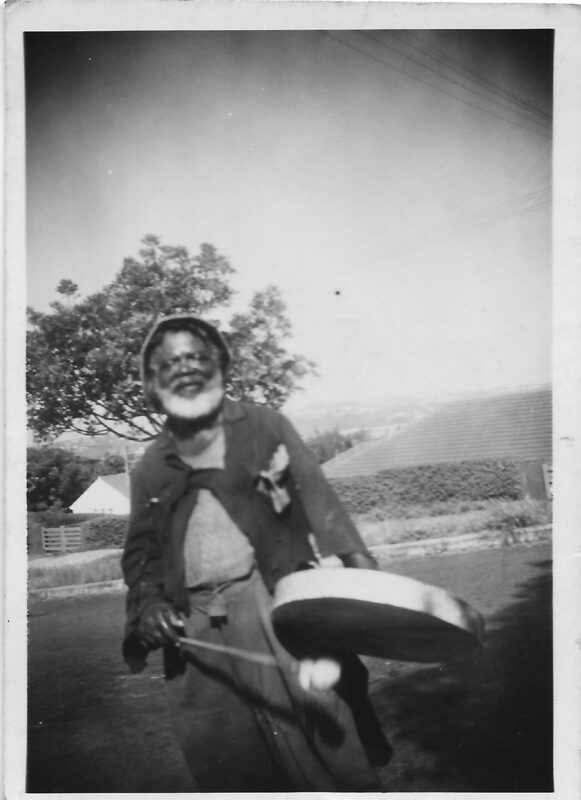 Obviously he was a lot younger then and his repertoire consisted of holding the “drum”‘ next to his ear and singing a few songs and rounding off with “God Save the King”, if he had received sufficient pennies, by his reckoning, he would also do a few cartwheels and then move on. I vaguely recall reading of his passing in the Daily News in later years and it was mentioned that he had accumulated quite a healthy bank balance as a result of the pennies that he had performed for.